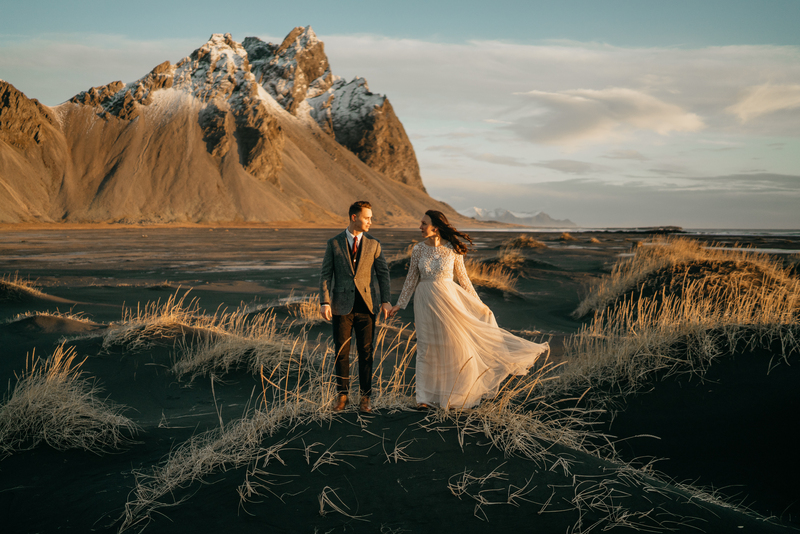 Chaise and I went to college together, and a couple years after we graduated I receive a message from her saying that she and her fiance were eloping in Iceland and wanted me to be her photographer! I’m pretty sure I jumped up and danced around my room or a minute before responding uhhhh yes! I had been to Iceland before so I was fairly familiar with the photography spots, but this time they wanted to go in the winter – an entirely new challenge! Iceland in the winter is cold, icy, and very windy! But thankfully these two were total troopers and toughed it out in clothes that were definitely not warm enough for the conditions! They even were crazy enough to jump into Seljavallalaug, one of Iceland’s famous “hot springs” that is actually a cold pool in the winter. But hey, it was an adventure and made for some pretty amazing photos! Contact Donna, if you are looking for a wedding photographer!